I hope you're all having a great week so far! If you watch my instastories or follow along on @thelovelycottage, you might have seen that J and I worked on our new patio ALL weekend. Literally - all weekend. I started Friday around 4PM and we finished Sunday around 2PM. It was quite possibly the most manual labor I've ever done, but totally worth it in the end. Although, I'm definitely moving a little slower the last couple of days because of it! To see the full before + after, head over to @thelovelycottage on instagram! When it comes time to start purchasing sweaters for Fall, my favorite two colors are winter white and bordeaux. A creamy, warm white just pairs to well with everything, but there's something about the richness of bordeaux that I constantly gravitate towards - in clothing, accessories, annnnnd - wine. I love the tortoise-button detailing on this sweater and the price point is pretty great, too. Perfect for those cool, Fall days where you want to be comfortable, yet chic! 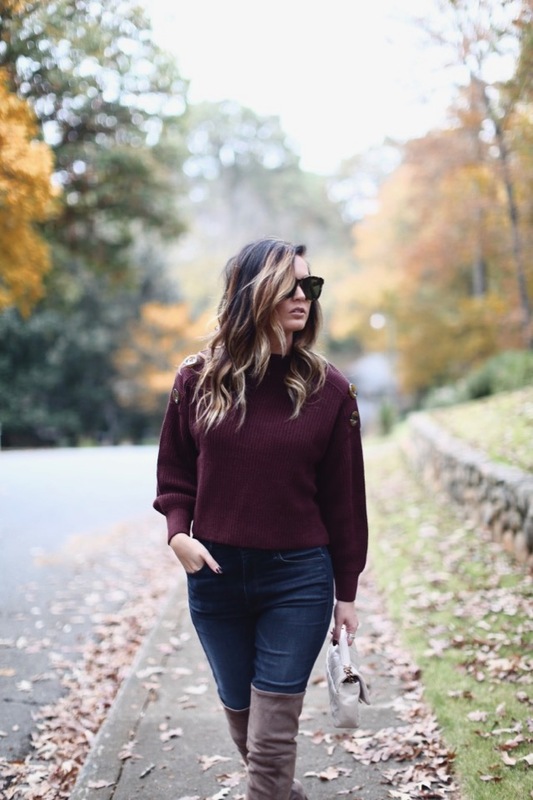 Simple, comfy and cool outfit for Fall! Beautiful pictures and a stunning outfit! Love the button details on your sweater and those OTK boots! 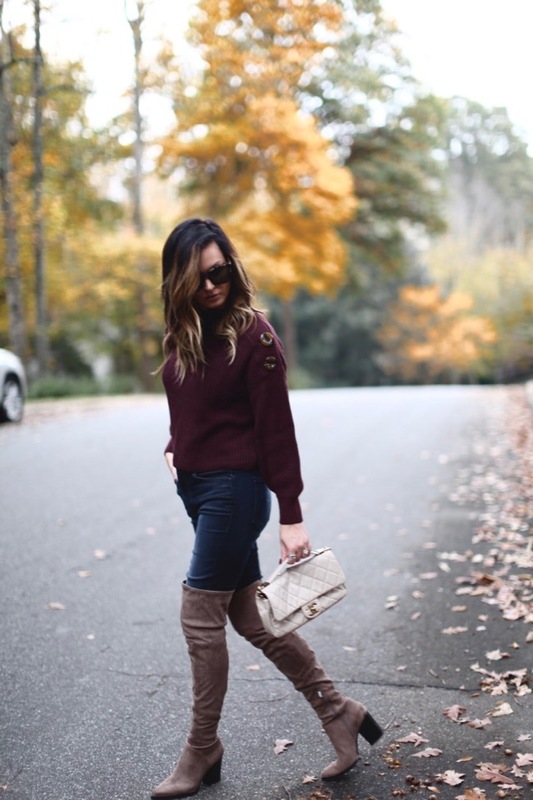 I am obsessed with this sweater and boot combo! Can't wait to spend nights on the back porch! Great outfit! And congrats on finishing the patio, so exciting! This is such a great outfit, Megan! I agree! I realized yesterday that I had one burgundy thing in my closet (faux fur vest) so this sweater has to be added to my cart! One of my favorite colors for fall! Love it!